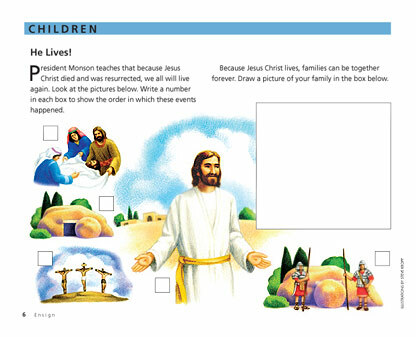 President Monson teaches that because Jesus Christ died and was resurrected, we all will live again. Look at the pictures below. Write a number in each box to show the order in which these events happened. Because Jesus Christ lives, families can be together forever. Draw a picture of your family in the box below.